Only 3 days left until the Lee Heinrich's Trunk Show!!! 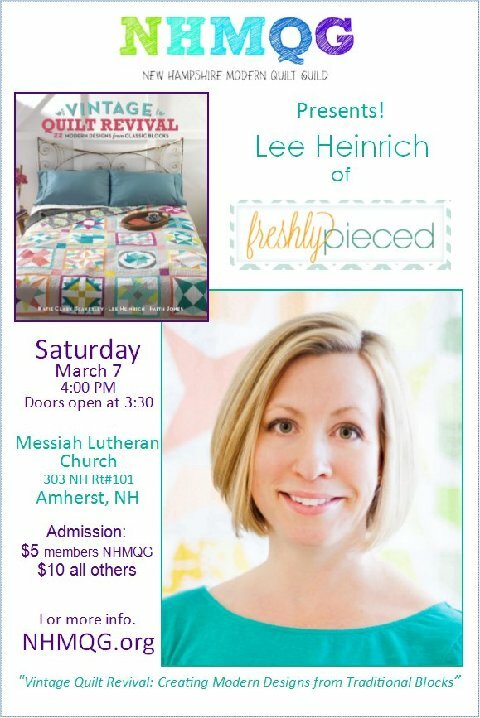 Lee is the author of the modern blog Freshly Pieced and co-author of the Vintage Quilt Revival. Please join the NHMQG in welcoming her to NH.